Apple today seeded the third beta of an upcoming tvOS 11.3 update to developers for testing purposes, two weeks after seeding the second beta and just a day after releasing the tvOS 11.2.6 update. 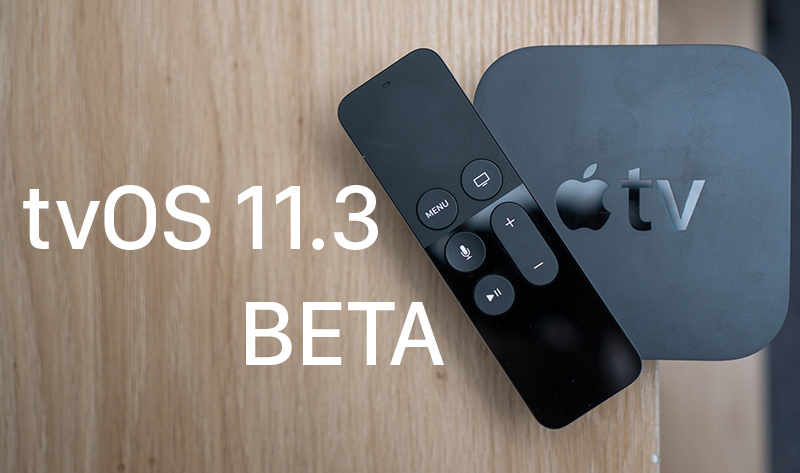 Designed for the fourth and fifth-generation Apple TV models, the tvOS 11.3 developer beta can be downloaded onto the Apple TV via a profile that's installed using Xcode and Apple Configurator. With AirPlay 2, you can play the same song on multiple Apple TVs in different rooms, and when AirPlay 2 officially launches, that functionality will extend to other AirPlay 2 devices like HomePod and AirPlay 2 compatible speakers. Other new features in tvOS 11.3 include enhancements to Match Content support, automatic frame rate switching on the fourth-generation Apple TV (a feature that was added to Apple TV 4K in a past tvOS update), and automatic mode switching for AirPlay video sessions. This is the exact reason I came to this thread. I'm dying to hear mine in stereo. Rest In Peace. You’ll be missed. Only to control tracks. 11.3 beta 1 and 2 was still using AP1 to connect to the HomePod. AP2 has been removed from beta 3. That's slightly disappointing, maybe beta 4 will have real AP2. Has anyone used Airplay 2 Apple TV with the HomePod?